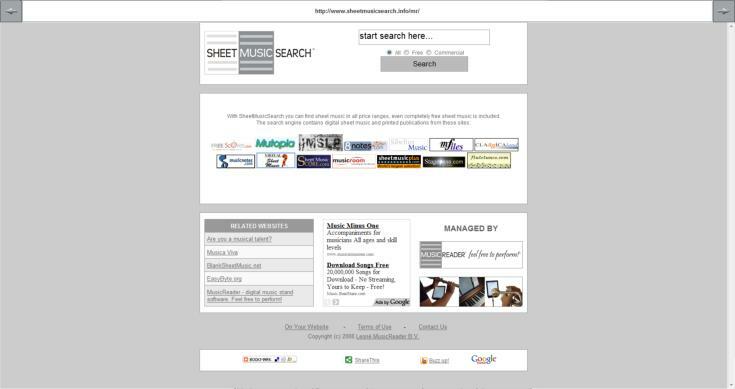 There are many webpages available online where you can download digital sheet music, MusicReader 4 makes the process of searching easy and comfortable. 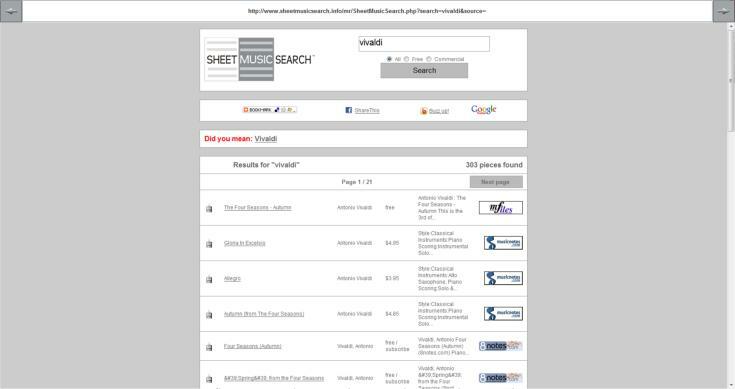 You can search for new sheet music from within MusicReader! 2. In the "start search here", input the piece you are looking for. 3. Select All(as well free as commercial), free or commercial. 4. Press search to start searching. To go back or forward a page, you can use the arrows next to the URL. MusicReader features a fully functioning webbrowsing interface. After searching MusicReader shows a list of all the pieces found. The names, composers, description, prices and distributor. Clicking on the name of the piece brings you to the website to further download/buy the pieces. Posted by: Nick Leoné - Tue, Feb 15, 2011 at 12:01 PM This article has been viewed 3958 times.